Does the type of book you prefer impact what covers you give a second glance? Looking past the very large, bold letters revealing author and title and focusing solely on the cover image, we see a lone figure on the steps of a columned building. The architecture of this scene calls to mind the type of grand governmental buildings in Washington, D.C., or perhaps a state capitol building or courthouse. It suggests a legal thriller, but also fits the mold of spy adventure involving echelons of power. Fans of David Baldacci, John Grisham, and Scott Turow, for example, might give this cover a second look. The story within might not be what they expect or hope for. Yet if they are willing to give it a try–and why not?–then perhaps this cover succeeds as it was intended? 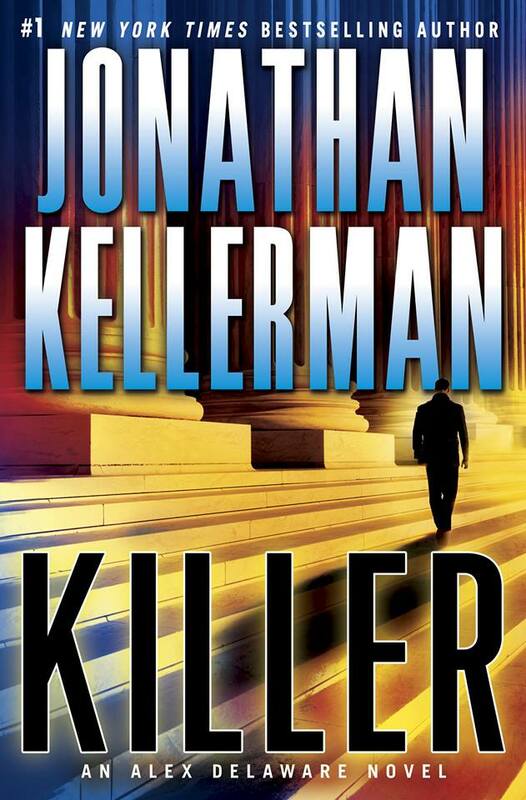 Killer, published in 2014, is the twenty-ninth book in the Alex Delaware series that began with the 1986 Edgar and Anthony award-winning When the Bough Breaks.